Country Walking magazine is the perfect companion for those who love nothing more than getting outside. Each month you can receive walking route recommendations, tips on getting the most out of your walks, a community of those who share your passion and more to ensure you discover all the best of Britain, by foot. A Country Walking digital magazine subscription offers a new issue every month delivered straight to your fingertips - you can access it from wherever you may be walking to get all the latest tips and trails while you walk. Each issue includes new route ideas, where to find the most incredible views and help and advice so you can get the most out of your walks. Join the community with a digital subscription to Country Walking magazine today - a must-read for all walking enthusiasts out there! greatest trails. Plus we have six more fantastic sea-to-sea walks. 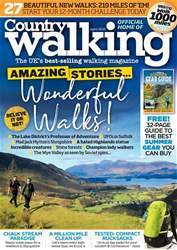 Since it was first published, Country Walking magazine has provided all levels of walkers with everything they need to enjoy their hobby. Whether you’re a seasoned walker or have only just got your first pair of walking boots, Country Walking magazine has tips and advice to help you. Each month the magazine is filled with undiscovered walking routes, recommendations of the best clothing and equipment so you can enjoy your walk and articles written by those with the same passion as you. 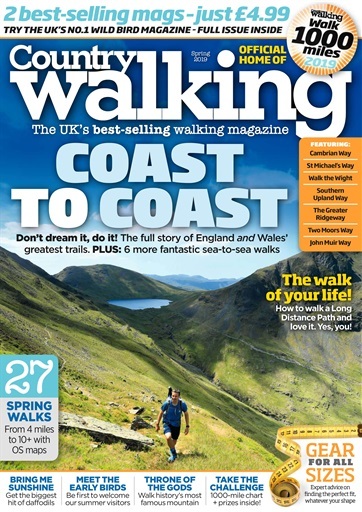 Country Walking magazine is the go-to walking magazine, tried and tested by their thousands of readers. Why not get your walking boots on and start getting the most from Britain with a subscription to Country Walking magazine? If you love fresh air, want to find some unheard of routes or want the latest equipment to get you on your way, then have it all straight to your fingertips with each and every month. 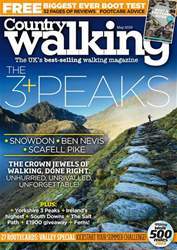 Enjoy a Country Walking digital magazine subscription and get all the latest exclusives wherever you are walking, on whatever device you have handy!